I devised and lead a series of lectures and interactive workshops exploring contemporary Chinese art, its development and significance to global contemporary art and wider geopolitical context. 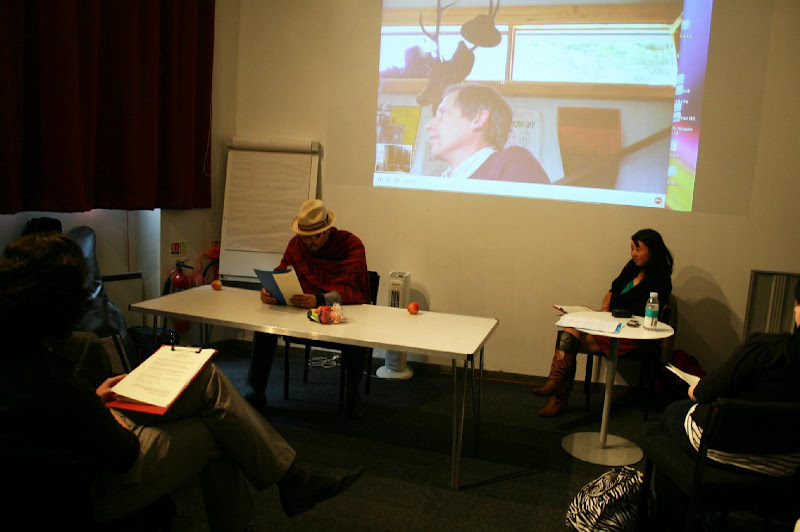 The course adopts an informal, discursive hand’s-on approach, prompting debate and involvement of participant through gallery, seminar and studio activities. Participants took part in a hands on exploration of Cornerhouse’s ‘State Legacy’s exhibition, with discussion drawing upon my own Chinese heritage and research on the North West’s industrial heritage in relation to China’s development. Through triggering debate and participation, sessions uncovered the shift in contemporary Chinese art whilst introducing wider economic, historic and political context of China’s long history and rapid expansion. Participants were invited to map Manchester’s locality and the West’s changing urban environment in relation to contemporary Chinese art; unveiling our perceived notions of East and West, and prompting understanding of the motivations/techniques deployed by Chinese artists. 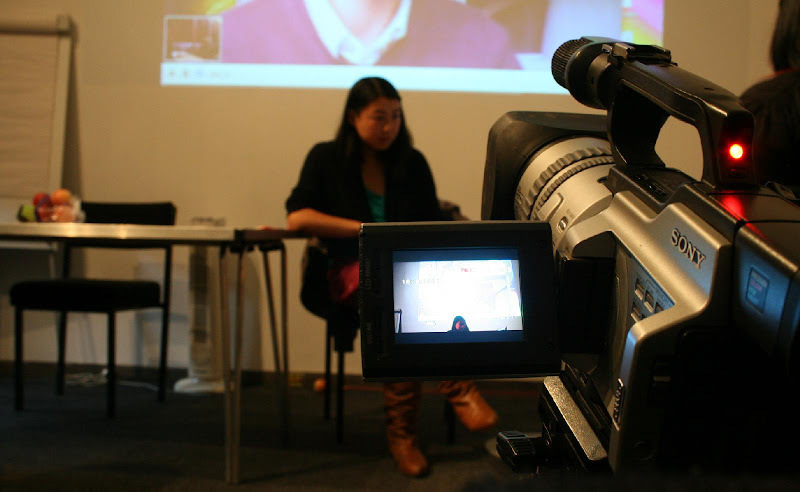 Kai-Oi Jay Yung explores her Chinese heritage and prolific interdisciplinary practice, offering a unique personal insight into her artistic process that traverses an international diaspora of voices, platforms and processes. From FACT to Istanbul Biennial, the Sock to King Ludwig II, how does Contemporary Chinese art across the diaspora hinge upon its heritage? An hour’s discussion and debate will follow with an opportunity to discuss the contemporary art scene and marketplace via an E-Space Lab connection to Shanghai and a panel of locally based curators and artists. A unique opportunity to question and unravel the complex impact of China’s advancing economy and culture on its rural landscape and Communist structure, as artist Kai-Oi Jay Yung facilitates Skype interaction with UK-based arts organisation Grizedale Arts and the eco-village-based Happy Stacking China project. Established artist Mike Chavez-Dawson gives a unique take on three questions relating to Chinese art and globalisation through a one-off live musical performance, followed by an hour in conversation with artist/curator Kwong Lee at Castlefield Gallery. Bring an apple for Mike’s session! Artist Kai-Oi Jay Yung invites participants to consider the development of a globalised Chinese art market in relation to world trade and the current economic climate. The second half of this session is located at the Museum of Science and Industry where experts in costume widen our understanding in a fun and interactive exploration of industrial Manchester, setting China’s industrial past in context. Artist Kai-Oi Jay Yung leads a series of lectures and interactive workshops exploring contemporary Chinese art, its development and significance to global contemporary art. 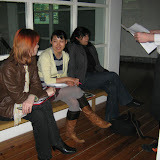 The course will adopt an informal, hands-on approach, prompting debate through gallery, seminar and studio activities. Participants will be involved in an investigative trail of Cornerhouse exhibition, State Legacy, alongside Yung’s own Chinese heritage and art practice. Participants are invited to consider China’s historical political past and the contrasting routes within Chinese and Western art. The second hour will gather participants at the Chinese Arts Centre for an exclusive talk, tour and discussion to examine Contemporary Chinese art from the viewpoint of curator, artist and venue. Sally Lai, Chief Executive; Ying Kwok, Curator; and David Hancock, Residency Co-ordinator will provide key insight into Hong Kong’s art market in relation to mainland China and the UK. The course was excellent, in terms of content, level and interaction with course leader. I particularly enjoyed Jay’s talk, the discussion and meeting the Shanghai artists live. Well done Jay, I thoroughly enjoyed the session, so inspired by it! The course was very different, the artist approached the subject in a unique and offbeat way. The interaction with the artist was excellent, the course was carried along by the personality of course leader who must be asked back! The generation of ideas and discussion were excellent.